After a long wait the Vietnamese government late last month declared the cause behind possibly the worst environmental disaster the country has seen. 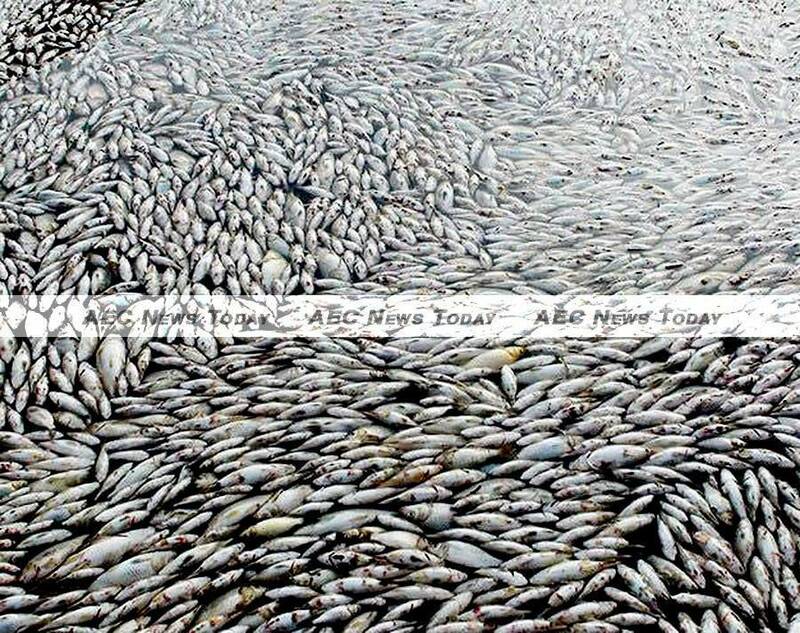 Along Vietnam’s north-central coast thousands of tons of dead fish washed ashore along a 200 km (124 mile) stretch covering four provinces: Ha Tinh, Quang Binh, Quang Tri and Thua Thien-Hue. 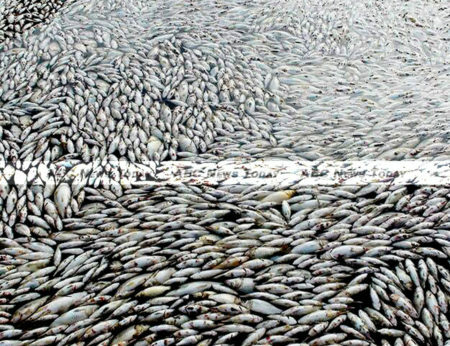 As expected, officials laid responsibility for the mass fish die-off on Formosa Ha Tinh Steel. A subsidiary of Formosa Plastics, Formosa Ha Tinh is building a US$10.6 billion steel plant in Ha Tinh Province. The mill will be the largest in the region upon completion. The disaster occurred when the firm flushed unapproved chemicals into the sea through the plant’s wastewater pipe. Confirmation came after weeks of public suspicion, street protests, and calls for the government to act with transparency. The lengthy investigation highlighted official uncertainty over how to handle the issue. Officials had to find a way to please the public, while maintaining the country’s investor-friendly image. It is too early to tell whether they successfully threaded that needle. In the wake of the official announcement Formosa Ha Tinh promised $500 million in compensation for the mass fish die-off. Company officials admitted fault in the disaster and asked for forgiveness, while the government offered assurances that the distribution of this money would be transparent. Given the prevalence of corruption in Vietnam, doubts regarding this are sure to surface. There is also widespread belief that some officials are already deep in the pockets of Formosa. But, it appears that some money is beginning to flow to the people most impacted by the mass fish die-off: fishermen. The disaster has economically devastated entire villages; entire populations have been left idle, with boats remaining docked due to barren seas. Officials estimate that the livelihoods of 123,000 people were directly impacted by the disaster. The magnitude of the ecological damage is such that scientists involved in the investigation of the mass fish die-off estimate that it will take at least 50 years for the area to fully recover. This puts immense pressure on the government. The penalty imposed on Formosa will need to be used wisely. A failure by the government to develop and implement long-term, sustainable progammes to rapidly develop the affected provinces will make a mockery out of the entire penalty process. The government of central Quang Tri Province recently allocated $405,000 (VND9 billion) and 800 tons of rice to local fishermen. The provincial People’s Committee also ordered local governments to work with social organisations and banks to create credit packages which will assist fishermen in finding new jobs. In Ha Tinh Province officials pledged to support fishermen and their families by paying for their health insurance premiums. The administration will also pay the interest for loans taken out by anyone trying to change their job. Households in the fishing industry will receive $9,000-$27,000 (VND 200-600 million) if they decide to build a new boat. 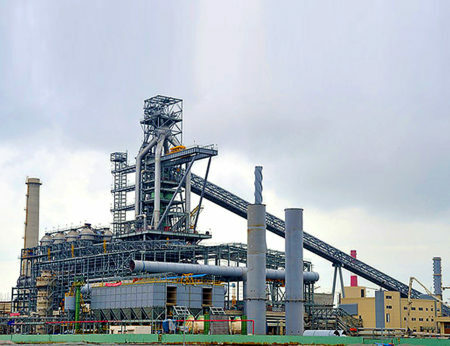 Nearby Quang Binh Province demanded at least $180 million from Formosa. These funds would help relieve damage caused to the salt, fishing and tourism industries. Provincial chairman Nguyen Huu Hoai said the disaster caused major economic and emotional problems, and said relevant agencies need to monitor the impact for many years to come. At the central level the Ministry of Agriculture and Rural Development (Mard) outlined a number of policies meant to alleviate the ongoing pain felt by those who have lost their income. Mard deputy minister Vu Van Tam proposed support for fishermen who upgrade to bigger boats, presumably so they can get to areas outside of the affected zone. He also asked the Ministry of Labour, Invalids and Social Affairs (Molisa) to create policies for vocational training and even assistance to work abroad. Such policies and pronouncements look good on paper, and are badly needed. However, the initial response to the disaster by both Formosa and the Vietnamese government engendered a healthy dose of mistrust by the public. One statement by a Formosa official after the extent of the damage came to light was a perfect example. He claimed that the Vietnamese people had to choose between a modern steel industry or fish. This set a poor tone for the ensuing discourse. Heavy-handed government repression of peaceful demonstrations calling for transparency only made matters worse. One hopes that officials carry out the support methods discussed above in an aboveboard fashion, but scepticism is understandable. As for Formosa, it’s already back in hot water. Earlier this week an inspection team from the Ha Tinh Province environment department discovered that the firm had buried 100 tons of waste at a farm owned by the director of a local company. While the director claims it is simply household waste from the Formosa plant, authorities have taken samples for testing. Irrespective of whether the samples confirm the voracity of the land-owners claim or not is largely irrelevant. The additional damage to Formosa’s already ruined corporate reputation in Vietnam is a public relations nightmare that will cost the company much more than the compensation it has agreed to pay. It’s therefore as equally important for the company as it is for the Vietnamese government to ensure a successful revival of the affected villagers if the trust lost by the mass fish die-off and the government’s response to calls for answers is to be minimised.